It is an unfortunate day in the fashion industry as Women's Wear Daily reports designer Madame Carven passed away this morning at her Parisian home; she was 105 years old. The French couturier launched her house back in 1945, aspiring to create fashions that would suit women of her similarly small nature. Little did she know then the spectacular influence she would have on women's fashion. 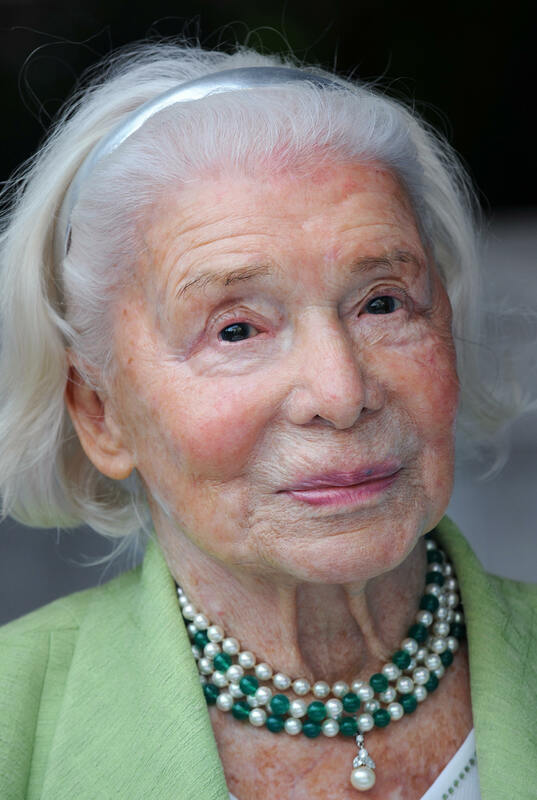 Madame Carven was an admirable designer who traveled the world with clothing lines she was proud of to inspire women in other countries with her fashions while in turn becoming inspired by different cultures to continue to create and perfect her craft. Madame Carven created a brand for women that allowed them to wear couture and still feel comfortable in their skin. She was among the first designers to create ready-to-wear styles in 1950, followed by her junior line in 1955. A jack of many trades, Madame Carven went on to design airline and traffic warden uniforms for female employees, lingerie with Marie-Rose Lebigot,a fragrance called Ma Griffe, and bridal gowns. Her talents and fashions will be greatly missed, but Madame Carven's legacy of what fashion should be, clothing you can feel and look equally as good in, will live on.